Part I – Is your finger on the hearing healthcare pulse? The health of your practice weighs heavily on the relationship you have with your physician colleagues - Is your finger on the pulse? Okay, enough with the puns. But are you aware of the value in a physician referral? Many hearing healthcare providers aren’t. They’re naive to the impact a good system has on the vitality of their practice. They see any referral from a GP as a happy coincidence or the gravy to other referral sources, when it could be a solid part of the foundation of their referral pipeline. I know clinics that, without their physician referrals, would be dead in the water. It makes up more than 50% of their traffic and an even higher percentage of their fittings. Besides being a profitable venture, it gives a clinic clout. It speaks volumes to their reputation and the patient experience they provide. A physician referral is a pre-qualified lead that creates a positive connotation of you and your practice. I know what you’re thinking – “Well, those clinics must be hospital based or have some sort of partnership with a GP within their location”. Wrong. There are many independent clinics in standalone facilities that have remarkable physician relationships that were harvested by their own efforts and implementation of a physician referral system. It is possible –and it’s essential– in such a competitive landscape. There are only a couple of things to keep in mind when building your own program if you want a solid flow of referrals. Communication is key – Know your message, audience and method. 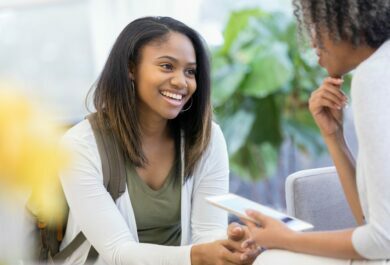 A good physician referral program promotes key services, identifies and addresses the barriers to care that exist in the current treatment system. It’s an opportunity for all to win. Promote your differentiators – your extended/weekend hours, your access to parking, your convenient location, your full spectrum of care (aural rehab, communication classes, balance, cerumen management etc.). Skip the credentials – they know your qualified to do the job. Truth is, their more interested in how you can solve their patients’ problems in the most efficient manner. Determine your messaging based on what sets you apart from others and how your services can make their job easier. There’s a disconnect in the continuity of care within hearing healthcare, especially in the communication. This is due to the sheer size of the healthcare system. Optimistic at heart, I do believe everyone has their patients’ best interests at heart and are doing all they can with the resources available. Therefore, it’s our responsibility as healthcare providers to be the change we seek. By building a strong bridge of communication with physicians we set an example and help to mend the disconnection with the hopes of creating a ripple effect. Find out how the physician prefers to be contacted and informed. There’s no such thing as too much information when it comes to patient information. Send them the reports their accustomed to receiving – patient complaints, full list and results of all tests carried out, an interpretation of the results for easy review and the next steps. Attach a copy of their audiogram. Send documents via their preferred method (mail, electronically – or if their old school and they still exist, fax). Any follow-up care given to their patient should be reported back to the physician encouraging them to contact you should they require any further information. Monitor and measure your communication. Be consistent and regularly check in to see if they’re satisfied with the mode and method of your communication. I would love to know what you think is key to keeping your finger on the pulse of your practice. Please share your thoughts in the comments section below. You liked this article? Then give it a ! No comments on “Part I – Is your finger on the hearing healthcare pulse?”, yet. 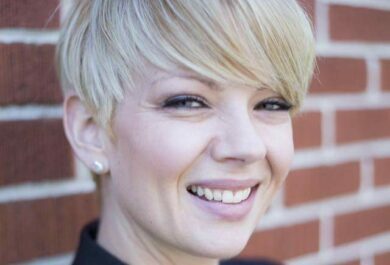 Lindsey has a dozen years of experience providing business development strategies, creative sales campaigns and consulting services within the hearing healthcare landscape. With an educational background in business and audiology, and her experience in private practice, she values the balance of exceptional patient experience and clinical success. *Your email address will not be published. On a daily basis, teens contend with complicated problems and choices. Talking about complications can help! The Phonak Audiology Blog provides audiological topics from experts at Phonak and across the hearing industry. Short and easy-to-digest blog posts will keep you informed on the latest developments in audiology. Charging hearing aids overnight – wishful thinking? 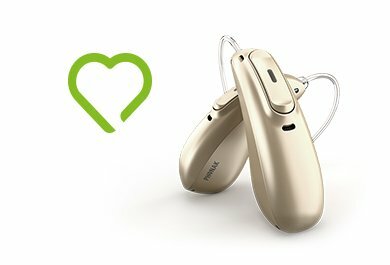 Meet Phonak Audéo Marvel: A multifunctional hearing aid that conveys love at first sound.